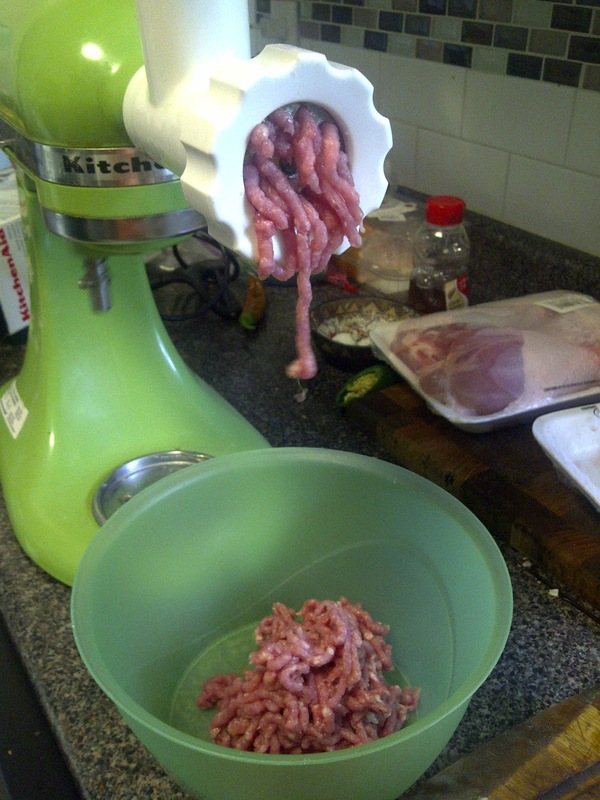 I'm loving buying cheap cuts of meat and using the grinder attachment to grind the meat. We did lamb burgers the other day-- 4 burgers from $6 worth of lamb shoulder! Today I thought about turkey, since we love turkey burgers. But burgers are so heavy and I always end up tossing away the bread and just enjoying the toppings and meat. So today I'm making turkey meatballs, and Taste Tester will get to grill them on kebabs, and I'll make naan to go with it because WHO TOSSES NAAN? Nobody, that's who. Nobody tosses naan. I haven't completely figured out the rest of the meal idea, but a spicy meatball naan sandwich is the rough outline. 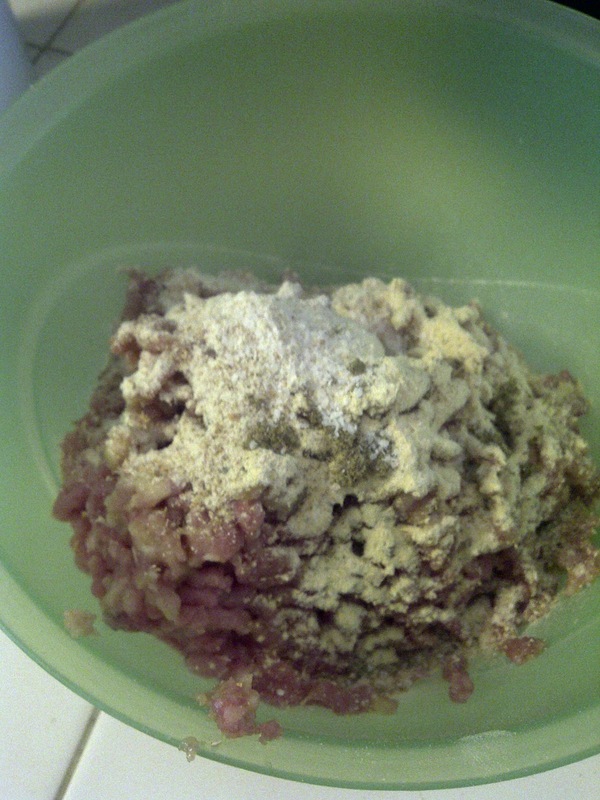 First I ground the meat I had chopped into small pieces, then I added ~2 tbsp of flour to help bind it. I used garlic powder, ground pepper, a touch of sage, and fresh garlic and chopped onions...but that was pretty bland when I made a test ball. So, I went back and added cayenne, paprika, curry, and cumin. Much better. And the naan, recipe here, will also be done on the grill. Grilled bread, meat on a stick...what more could one wish for? Yogurt dip! I also bought fresh sheep's milk feta, so good it makes your mouth weep with gratitude. After minor marital disharmony over grill space and shoddy grill maintenance by Taste Tester, the naan was grilled and the kebabs failed to hold so they just became meatballs (pan seared then baked for ~20 min at 400), and I chopped some tomato and sliced red onion and it all came together, this was actually FANTASTIC. Sweet Abe Lincoln it was awesome. The spices in the meat made for a smell-good house for hours. And I actually had enough leftover meat to freeze for future turkey burgers!